Welcome to our class page. 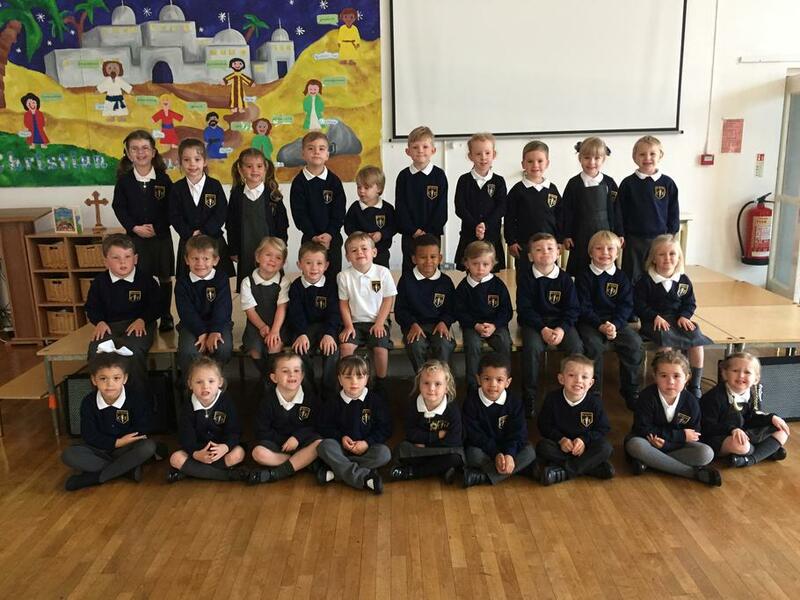 We are a class of 30 friendly, hardworking children, who love to learn new and exciting things. We are continuing our learning journey this year with Mrs Dwan and Mrs Oldhams. Mrs Turnbull is joining us for a fun year too! We will be visiting lots of new topics and we develop our skills in maths, English and lots of other subjects through exciting, active lessons. We will also be helping each other to understand the Christian Values and follow them in our daily lives. You can look back at how we have grown since Reception by scrolling down through our page. Thank you for visiting our class page. We are a wonderful class of 29 four/five year olds, who are happy, friendly, and eager to learn new things. Our class teachers are Mrs Dwan and Mrs Oldhams and our wonderful teaching assistant is Mrs Turner. We are looking forward to an amazing adventure during our time in Reception and we hope that you enjoy watching us learn and develop. Our first day at school getting to know new friends. This is "HANDA'S SURPRISE - Picture Book- Animation" by on Vimeo, the home for high quality videos and the people who love them. The Little Animals Activity Centre A fun way to learn and play!